Since it's almost June, I decided to do my monthly bullet journal setup today! June is going to be my first full month of summer break, so that's nice. Anyway, I don't have much to say, so here's my June monthly bujo setup! I think that this will be quite a useful post for a lot of people. 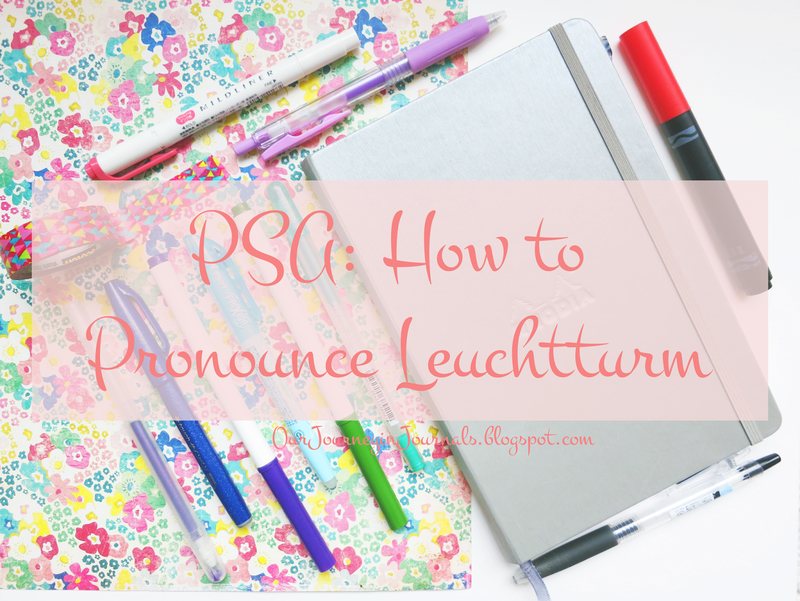 A couple weeks ago, I explained how to pronounce "fudenosuke", but in today's installment of PSA, I'll be addressing a very common issue: how to pronounce Leuchtturm. If you don't know, Leuchtturm1917 is a famous notebook brand based in Germany, and their notebooks are especially popular for bullet journaling. German is a hard language to speak, and nobody is expecting us English speakers to say it exactly like a native speaker. However, people should try to pronounce things at least kind of correctly, so I hope that this guide has helped you do just that. What other other bujo/stationery words do you want to know how to pronounce? Make sure to leave it in a comment down below! Edit: Sabine Dio, who lives in Germany, made a really high quality voice recording, and I think this'll be super helpful, too! Hey! Today, I'm going to be sharing a small bullet journal hack with you guys. I think this is something that has helped me a lot with my own productivity, so I believe that this will also be helpful for you. 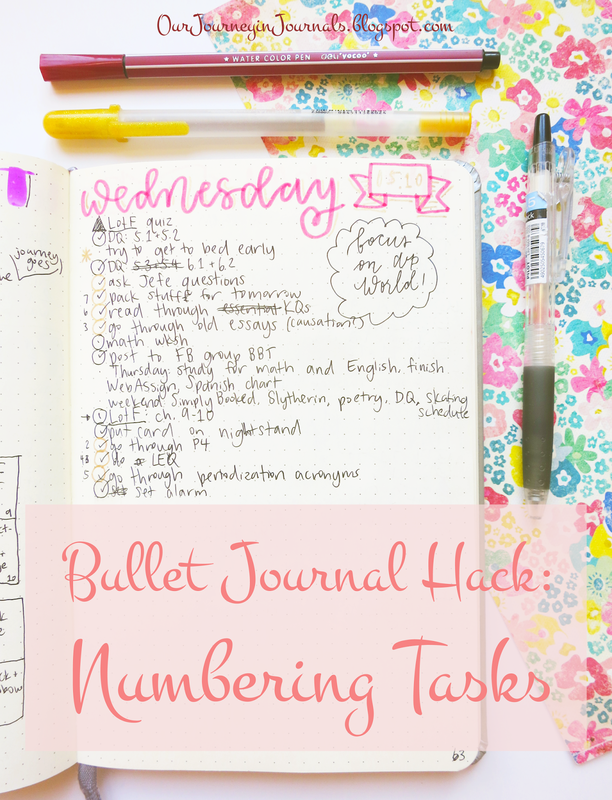 Anyway, this bullet journal hack is numbering your tasks in your daily spreads. This is especially useful when you're lacking motivation to be productive, like when it's the end of the school year as it is for me. What I first do is brainstorm all of the tasks I need to do for that particular day and then write them in my daily spread. I try to be realistic in that I only write down the things that I know I can actually get done. I think this helps me not feel like absolute crap if I don't meet impossible expectations, and it's easier to get focused if you don't have a mountain of work ahead of you. After I write down all of my tasks for the day, I think about the order I want to do each task. For me, I personally find it best to do the easiest (but still important) tasks first, longer and more difficult important tasks next, and then tasks that aren't as important at the end since I might end up not having enough time for them. However, the order really is up to you and what personally works for you. Once you've figured out the order for your tasks, then you number them! I write the numbers in the "signifier" space (the leftmost column next to bullets that's reserved for symbols that indicate important notes and things like that), like you can see in the picture above. This makes it easy to see all of my tasks and the corresponding order I'm going to do them in all at a glance. This is quite a simple bujo hack, but I find it to be super effective, especially when I'm feeling unmotivated or overwhelmed if I have a lot of (boring) things to do. 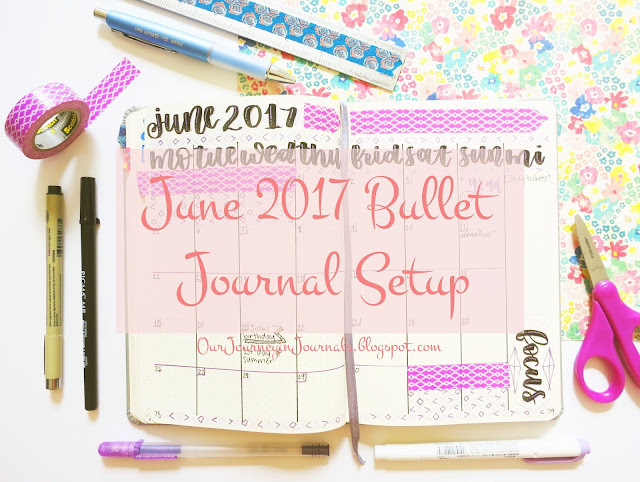 Still, I hope that this post helps you in your future bullet journal/planning endeavors! 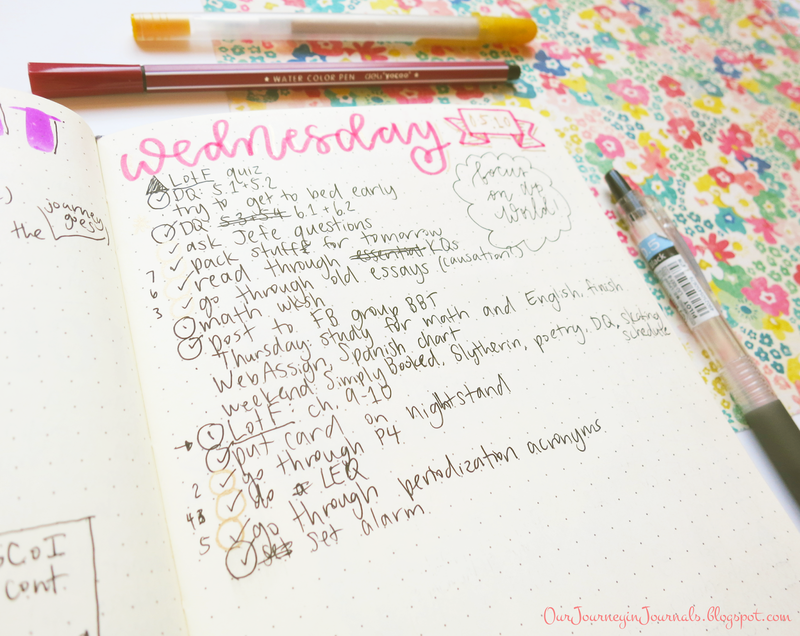 What small things help your bujo system? Let me know in a comment down below! PSA: How to Pronounce "Fudenosuke"
This is the first "real" PSA post (other than the introduction), and today, I'll be talking about how to pronounce "fudenosuke", as in the Tombow Fudenosuke Brush Pens. The word itself is Japanese, and it roughly means "Mr. Brush" in English. "No" as in the word that's the opposite of "yes"
However, I found this YouTube video from Tombow USA. In the video, it's pronounced kind of like "foo-dough-NO-ski". Unfortunately, I completely disagree with this pronunciation. Since the word itself is Japanese, and Tombow is based out of Japan, "fudenosuke" should adhere to the original Japanese pronunciation as closely as possible. Thus, I have to say that "foo-day-no-SOO-kay" is the proper way to pronounce this word. What other words in the stationery community do you want to know how to pronounce? Let me know in a comment! Now that it's the beginning of a new month, it's time for a new monthly setup in my bullet journal! Anyway, I decided to do a video this month instead of a normal blog post since it will probably convey more detailed information (I hope), and I think it will save time on my end since I have so many school things and performances going on right now. I also think that this video is a lot better made than my last ones, so I hope you guys enjoy the video's production quality as well as the content itself. I embedded the video down below, but you can also click on this link to go directly to it. 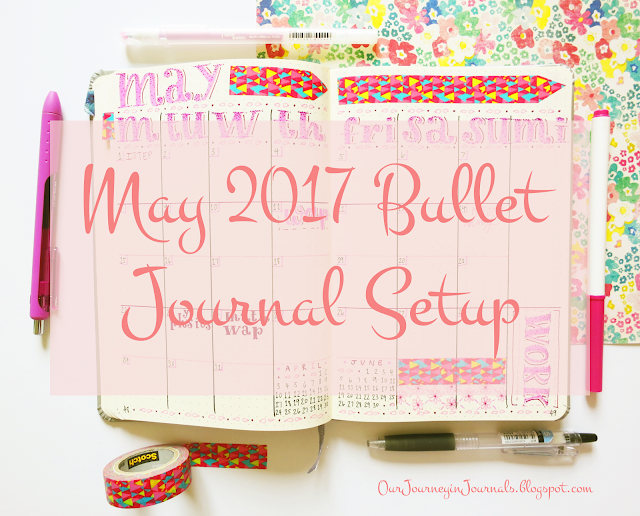 What was your bullet journal's setup like this month? Let me know in a comment down below! Hi! I'm Mae-Mae Han, the blogger behind Our Journey in Journals. I post (mostly) every Thursday about bullet journals, calligraphy, stationery, and studyblr. I'm currently a full-time student in the US, and I love my cat a lot. Get 10% off at Miss Rosie Shop! Just use my affiliate coupon code "OURJOURNEY" at MissRosieShop.com! Created by Mae-Mae Han. Powered by Blogger.